Has anyone ever made you feel like you weren't normal? As Ingrid finds out, the only people who think gay life isn't normal are the weirdos themselves! One day at the playground, the class mean girl, Veronica, shouted, "Ingrid is a freak!" with her snotty friends. Why? Because Ingrid has two dads. When Ingrid makes the mistake of pushing Veronica, the school principal decides not to punish her but make Ingrid write a journal exploring why her dads are as normal as any other parents. 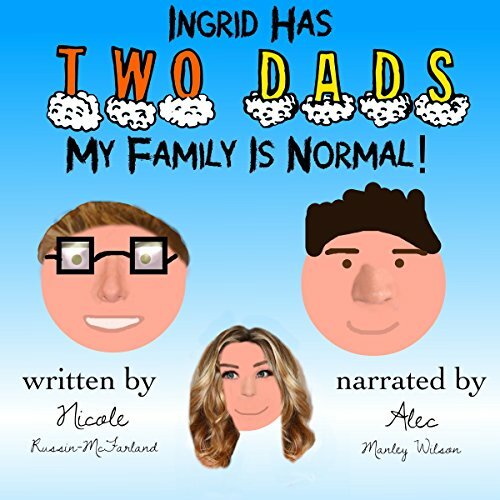 As Ingrid learns in the course of her assignment, so many "normal" people she didn't know are actually gay...and her dads are pretty cool! Classically trained actor Alec Manley Wilson provides a beautiful narration for this uniquely modern classic tale. Wilson starred in the LGBT themed film Shared Rooms and has had roles on Modern Family, My Crazy Ex, and Comedy Central. He received his MFA in acting from the American Repertory Theater/Moscow Art Theater Institute at Harvard University and his BFA in Acting from Western Oregon University.